The Munros military record continued into the present century, providing the British Government with some of its finest fighting troops through the Highland Regiments. Clansmen and women have excelled in many professions including medicine and politics. 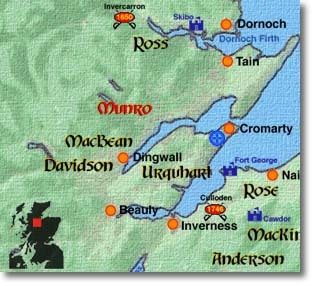 Military expeditions, adventurism and social change in the Highlands saw the name Munro spread throughout the world. The power of the old Highland Chieftains has gone but the spirit of the Clan lives on through the Clan Munro (Association) which enjoys a world-wide membership.